Ordering from Georgies is Easy! Please contact us for details on discounts to professional artists, arts or crafts stores, ceramic studios, and other wholesale purchases. If you offer your work for sale, or if you can provide us with a copy by fax or email of your tax certificate or business license, we'd be happy to offer you business discounts. Please note: business discounts do not appear automatically on our website, but we will apply them when we receive your order at our Portland store (usually on the next business day). Discounts on Georgies' clays are based on the amount of clay you order. We offer price breaks at 50, 100, 500, 1000 and 2000 pounds. You can mix different kinds of Georgies brand clays to reach these discount levels. Laguna and other clays are not assortable for price breaks, but you will get quantity breaks for 50, 100, 500, 1000 & 2000lbs of the same clays. We also offer business-level discounts to public schools, accredited private schools, hospitals, nonprofit organizations, and government agencies or institutions. Georgies' shopping cart program interfaces with UPS and the US Post Office to give quick estimates of freight charges on orders under 150 pounds. These freight estimates may change when we process your order. Our website does not charge your credit card in real-time when you place your order. We charge your card at our physical store after filling your order and packing it for shipment. Please make sure to provide us with a phone number and email address so we can reach you. For orders over 150 pounds, we work with a variety of local, regional and national carries to get the lowest possible freight costs for your shipment. Even with the best possible rates, freight costs may add significantly to the cost of your order. Freight costs are determined by individual freight companies based on a combination of weight and distance, subject to possible service area limitations and general economic conditions like fuel costs. We have no control over freight rates. Freight companies will unload the shipment from their truck, but it will usually be your responsibility to move the shipment to where you want it (your workshop or studio, up a driveway, etc). Special services such as delivery to residential or rural addresses, or delivery in a truck with a hydraulic liftgate, usually carry additional freight charges. Generally speaking, as the total weight of your order goes up, the freight cost per pound goes down. To get the best return on your freight dollar, you might consider combining your order with orders from other artists in your area. Several orders shipped together with a total weight of 1000 pounds will get a better freight rate than a single order of 250 pounds. 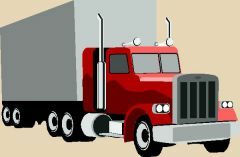 We do not offer free freight or reduced freight specials. Freight charges will be added to your invoice before billing. We do not mark up or increase freight charges in any way. If you try our products and like them, we will be happy to work with you. We will never turn away your clay order because of freight costs. If you live outside our region (first the Pacific Northwest and then the Rocky Mountain states), we encourage you to look a little closer to home for a clay supplier. We'd be glad to help you find one. It just makes dollars and sense. All Freight orders that are placed on a pallet will be charged a pallet fee of $6.00 and a shrink wrap fee of $3.50 in addition to the freight charge. We do not pad the freight charges so the fees are only to cover our costs to purchase and provide these items for handling and protection of your shipment. We are very sorry to say it, but because of high rates of credit card fraud, and the losses we have suffered to fraud, we are not currently accepting orders for direct shipment to destinations outside North America. We make exceptions in certain circumstances, but even these orders must be prepaid in full by wire transfer before shipment. If you're ordering in sufficient quantities to use the services of a freight consolidator located in North America, please let us know. We are experienced in working with consolidators on both the East and West coasts. After clearance of your payment through the banks, we will be happy to ship your order to a freight consolidator for further shipment to you. We sincerely apologize for your inconvenience or disappointment. We do not have a minimum order size. However, there is a $3.00 handling charge on all orders totalling less than $50 after any applicable discounts. We will use our best judgement in selecting the most cost-efficient means of shipment within the continental US. Shipments under 200 pounds usually go by UPS. Shipments over that weight will be sent by freight truck, using our freight discounts to get you the best possible price. We can ship by Parcel Post, by Priority Mail, and to FPO or APO mailboxes. All air shipments to domestic or foreign locations must be prepaid by credit card before shipment. Postal and delivery services will not forward deliveries without charging for the extra service, and we have to pass that charge on to you. Please verify your shipping address when you place an order. A $16.40 additional fee will be passed along to you if an address correction service is required. ...Means that you will pick up your order at either our Portland or Eugene store. Please give us a good 24 hours notice on your order for pickup. For weekend pickup, please call during the week (Monday to Friday) to place your order. We accept personal, business, government and institutional checks with proper identification and authorization. All checks must be printed with the name, address and phone number of the business, institution or organization. For personal checks, the purchaser's name must be on the check. All checks returned to us by the bank for any reason incur a service charge of up to $25 for each check, for each return. We accept Visa, Mastercard, American Express and Discover cards only. We accept Visa and Mastercard debit cards. ...are always welcome from schools, government agencies, and other institutions. Please bear in mind that our supply catalog was printed in March 2017 and we only print catalogs every other year. Many of our suppliers may have increased their prices after the catalog went to print -- and sometimes twice or more since then! Current prices in our store computer system override all prices previously published in print or on our website. We reserve the right to correct prices in the event of data entry or coding errors on our website's shopping pages. We work every day on keeping our website prices current, but it's still possible that some price corrections may be necessary. We will contact you to advise of any price changes on your order. Due to a variety of economic conditions including world market demands for raw materials, fluctuations in currency exchange rates, and the rising energy costs of fuel and transportation, prices for ceramic products and materials may be volatile. Please feel free to contact us to check for any price changes. Some products and equipment sold at Georgies are covered by manufacturers' warranties. We encourage you to register your purchase with these manufacturers to ensure warranty coverage. This explicity includes kilns, electric potters' wheels, and other major equipment items. The following is made in lieu of all warranties, expressed or implied, on products made or sold by Georgies which are not covered by manufacturers' warranties: Georgies only obligation shall be to replace such quantity of product as proves to be defective by standard and accepted testing methods for the ceramic industry. Georgies shall not be liable for any injury, loss or damage, direct or consequential, arising from the use or inability to use any product. We urge all users to test all materials for the purpose of determining the suitability of the product for your intended use. Users assume all risk and liability in connection with use of Georgies products. Your warranty rights may vary depending on applicable laws passed by state, provincial, federal or other government bodies. If you have to return products or merchandise to us, please contact us by phone or email before returning them to us. It's very important to us to make your experience with us as smooth, easy and pleasant as possible, but we would prefer to know what's going on before we receive the return from you. • We will gladly accept returns with a copy of your receipt that have NOT been opened or used within 60 days of purchase. • Clay must be in the orginal bag/box and NOT opened or used within 60 days of purchase. No refunds, exchanges or credit given for clay over 3 months old. • Items to be returned must be in original and saleable condition. Some returns may be subject to a 20% restocking fee. • Used or items damaged from use are not accepted for return, credit or exchange. All shipments leave Georgies in good condition. When your order arrives, please inspect all boxes or parcels for obvious damage before signing the delivery receipt. Open the boxes, too, to check for concealed damage. If you find damage, note it on the receipt and get the driver's signature to verify the damage. Save the damaged items or packing materials for possible inspection by UPS or the freight company. Contact Georgies as soon as possible to report the damage. We will be happy to work with you to recover credits for damaged merchandise, but the first responsibility in getting that credit is YOURS. Orders placed online after 2pm will be processed the following business day (Monday through Friday 8-5pm). Friday afternoon orders will not be processed until the following Monday. We check the website twice a day, but if you need the order to go out right away, please call us at 503-283-1353 or toll free at 800-999-2529. ...or lose their lids and come open during shipment. We know it's a big disappointment to open a package and find a mess inside because one of the glaze jars opened up. There are times when this happens even though it's clear there was no damage in transit by the carrier(s). If this happens to you, please let us know by phone or email right away.